LOS ANGELES, CA — Actress/Writer, Cassandra Peterson is known for her portrayal of one of pop culture’s most beloved icons, Elvira, Mistress of the Dark. It has been 35 years since Elvira made her debut as horror hostess on a local LA television show. To celebrate the milestone anniversary, Cassandra combed through her personal archives to assemble a beautiful 240 page hardcover coffee table book titled, Elvira, Mistress of the Dark. The book is filled with over 300 photographs, many never-before-seen, and commentary by Ms. Peterson. It is published by Tweeterhead and will be released on October 5, 2016. The book is currently available for pre-order and can be purchased on www.elvira.com and www.tweeterhead.com. 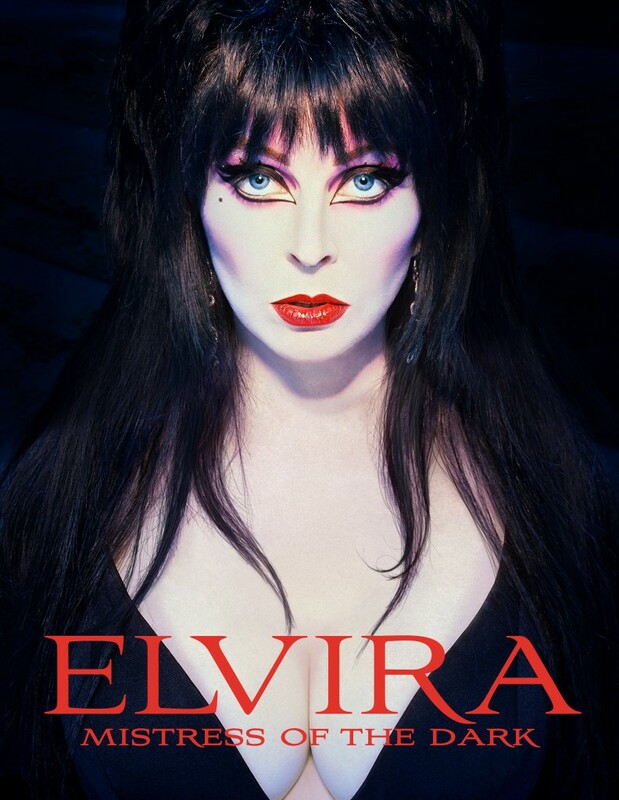 Saturday July 23rd – Elvira will appear at the Tweeterhead Booth (#5549) from 12:00pm – 1:00pm in the Convention Center. She will also sign autographs in the Sails Pavilion from 2:00pm – 5:00pm. ABOUT ELVIRA, MISTRESS OF THE DARK:Elvira’s reign as ‘Queen of Halloween’ has now spanned thirty five years and includes two nationally syndicated television series, two feature films (Elvira, Mistress of the Dark and Elvira’s Haunted Hills), an IMAX movie and two motion control rides. She has recorded five music CDs, written four books and has the best-selling female costume of all time. ABOUT TWEETERHEAD: Tweeterhead was founded in 2012 by Chad Colebank. The company specializes in high end collectible maquettes of pop culture characters. Tweeterhead works closely with many of their iconic subjects, including Elvira, RuPaul, Adam West (Batman), and Julie Newmar (Catwoman). The release of the photo book, Elvira, Mistress of the Dark marks the company’s first foray into publishing.